Kath has worked with the EEF since 2003 and has recently taken up management responsibility working on behalf of the Trustees and EEF beneficiaries. Previously Kath worked in administrative roles with the Building Products Sector of what was then Fletcher Challenge Limited. Kath joined Fletcher Challenge in 1995 and for a number of years also assisted with the co-ordination of the Fletcher Building in-house events. She is therefore very familiar with the EEF beneficiary base. 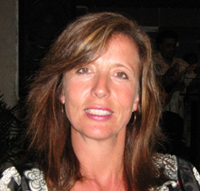 Kath brings a unique energy and advanced administrative and organisational skills to the role of Fund Manager.